VocaLive lets you create amazing vocal effects by chaining up to 4 effects procesors into a single effects chain, just like you would in the studio. 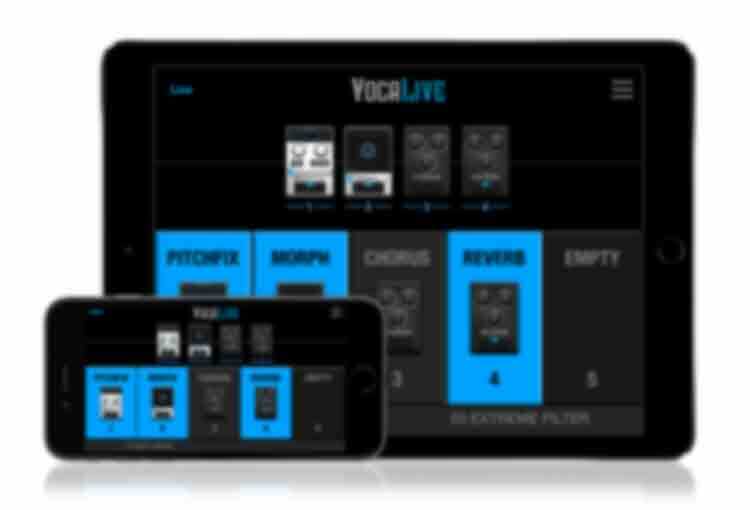 Use VocaLive on stage as your own personal controllable vocal effects processor adding lush reverbs, delays, multi-part harmonies, creative effects and more, all at your fingertips. VocaLive also lets you record up to 8 tracks of audio simultaneously and is perfect for tracking vocals with multi-track class compliant USB audio interfaces. VocaLive gives you the ability to make your microphone sound like a vintage studio mic and more, plus it features a 4-track looper for developing ideas on the fly. 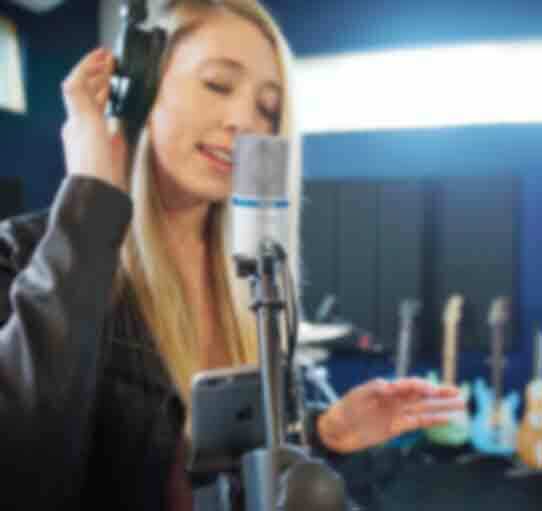 While VocaLive works seamlessly with any compatible audio input device, it is optimized to work with IK's range of high-quality microphones and audio interfaces, like iRig Mic HD 2 or iRig Mic Studio digital microphones, iRig Mic, iRig Mic Lav analog mics, or iRig Pre, iRig Pre HD, iRig Pro I/O or iRig Pro Duo interfaces. Use Vocalive with iRig Pro Duo for simultaneous two-channel recording for singer-songwriter projects, duets and more. VocaLive provides vocalists with a suite of 12 real-time professional vocal effects for studio quality sound in a portable package. Combine up to 4 simultaneous effects in a real-time signal chain. VocaLive includes 5 "Vocal Effects" – Pitch Fix (for tuning correction or stylized quantization FX), Choir (a 3-part harmonizer), Morph (an X-Y pitch and formant shifter that changes the tonal quality of the voice from subtle deepening to radical gender bending), De-Esser (to remove sibilance from the voice), and Double (Double effect gets unlocked by registering). 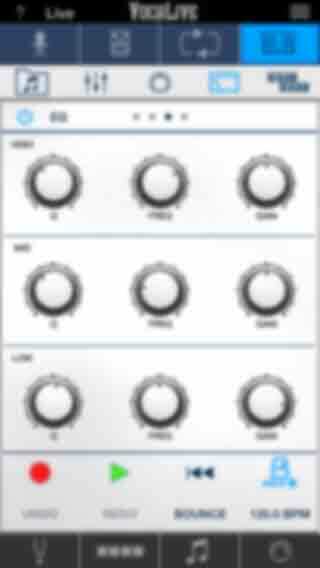 VocaLive also has 7 available "Studio Effects" – Reverb, Delay, Parametric EQ, Compressor, Chorus, Phazer and Envelope Filter. Together these effects create the perfect vocal processing solution. VocaLive's new Live Mode offers all the essential information you need, at a glance and in a layout that’s easy to read on-stage. See your entire vocal chain clearly, with visual indicators of what’s on and off, or easily see and change your presets. You get a live-optimized interface that rivals any dedicated vocal multiFX system, without sacrificing the flexibility and sound quality you expect from IK. VocaLive offers deep, easy to edit integration with a range of controllers. 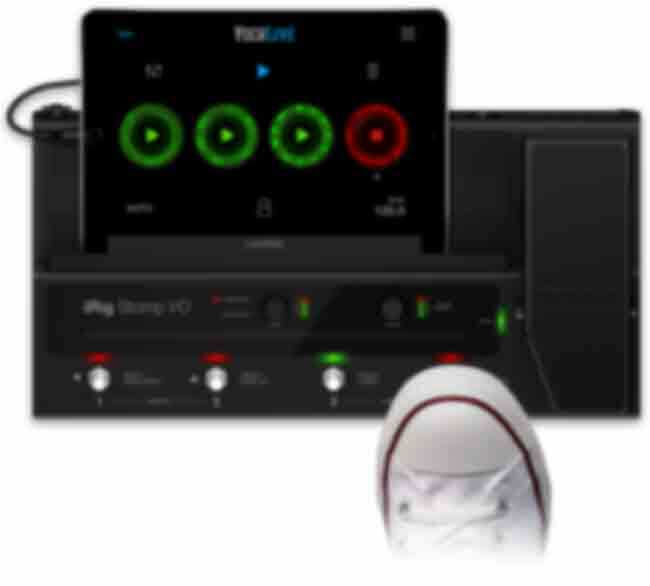 Connect iRig Stomp I/O, IK’s revolutionary USB pedalboard controller and audio interface that lets you control effects, presets, settings and more, just like a hardware multiFX system. Or connect iRig BlueBoard and enjoy editable, wireless control over presets and effects. VocaLive is also MIDI compatible so IK’s MIDI interfaces (like iRig MIDI 2) let you connect external controllers and associate patches or parameters with just a few taps. Got an IK microphone? VocaLive now includes a powerful new Mic Room mic modeling section that lets you "re-mike" any IK microphone to sound and perform like some of the most coveted studio microphones of all time. It lets you choose from 20 microphones that include dynamic, condenser, ribbon and some other highly creative models. VocaLive also has a powerful Recorder/Studio section that lets you record up to 8 channels of simultaneous multi-track audio and edit it with the flexibility and precision of a DAW. With the Recorder you get full control over your recordings and mixes with all the expected track controls — solo, mute, pan, 3-band EQ, 2 sends per channel, a master effects section and global effects. Switch over to the Studio section and you're immediately in "DAW-land" — you get a detailed waveform visualization (with a time grid and quick undo/redo), touch-and-drag looping, easy punch-in and punch-out recording, a quick per-channel FX enable/disable button and streamlined access to all recording, mixing and editing controls. 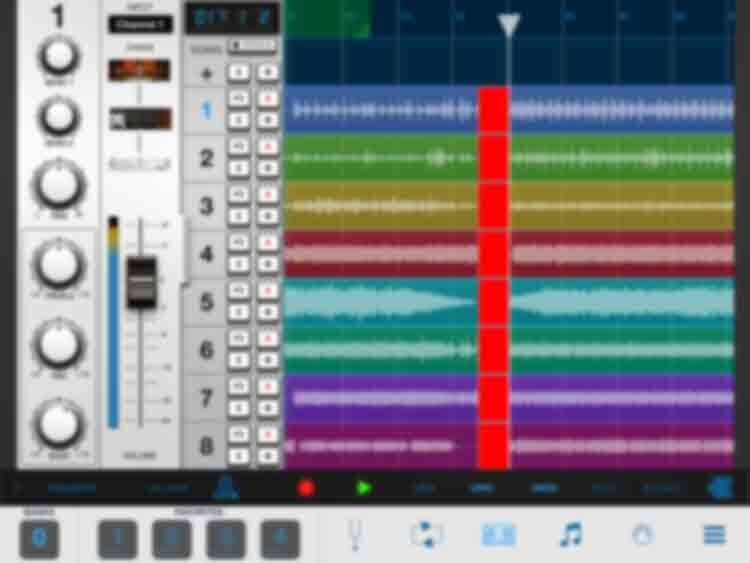 Recording, mixing and editing in VocaLive is fast, easy and extremely intuitive. Got a quick idea? Use VocaLive’s 4-track audio looper to get your thoughts down and experiment with different harmonies, melodies and vocal ideas. 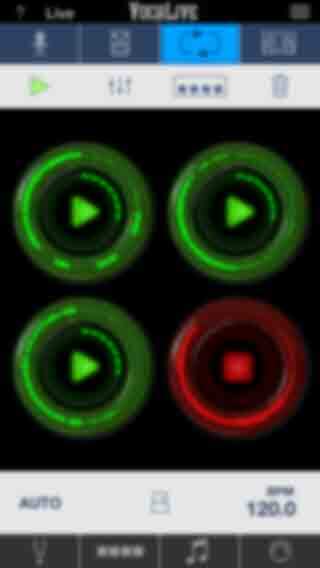 These loops can be easily recorded and played on the go. 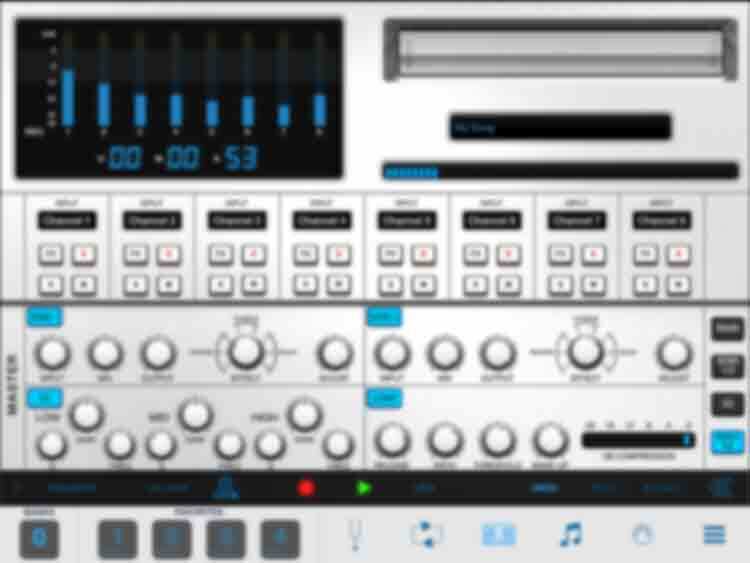 You can trigger the loops via MIDI controllers like the iRig BlueBoard, and each loop has its own volume control for creative mixing. 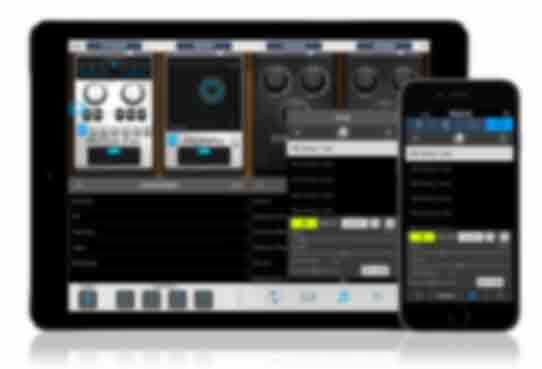 You can even export your loops for use in the DAW/Recorder or share them with the world. VocaLive also lets you sing along to any song in your music library — in the “song” section, it features a Voice Cancel function that lets you practice over the existing vocals. You can also warm up your voice with its helpful included vocal warm-up tools. 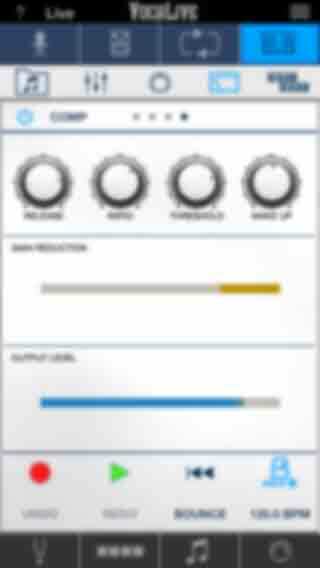 Each VocaLive effect processing chain you create can be saved as a preset so you can always recall and use it on stage or in your recordings. A collection of 55 factory presets is included to get you up and running immediately. User presets can be stored, and their number is limited only by the available memory of the device itself. You can use a MIDI controller like iRig BlueBoard to step through presets in live situations. You can use VocaLive with Inter-App Audio to process and add effects to the sound of all your favorite mobile music creation apps. This means that VocaLive's realistic amplifiers, stompbox effects and other cool pieces of gear can be used with things like Apple GarageBand. 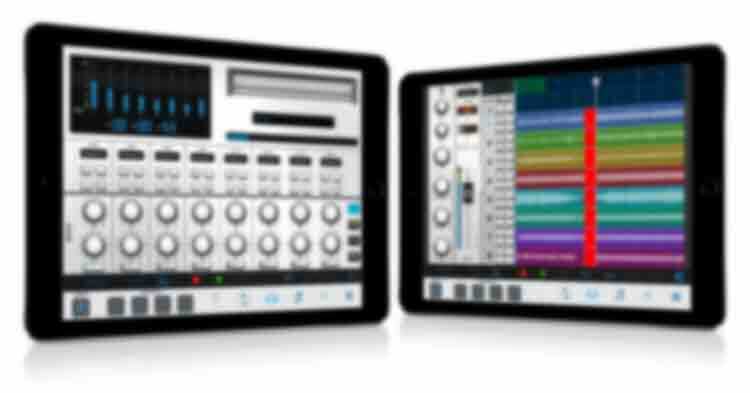 VocaLive is also fully compatible with Audiobus (a third party app, sold separately). 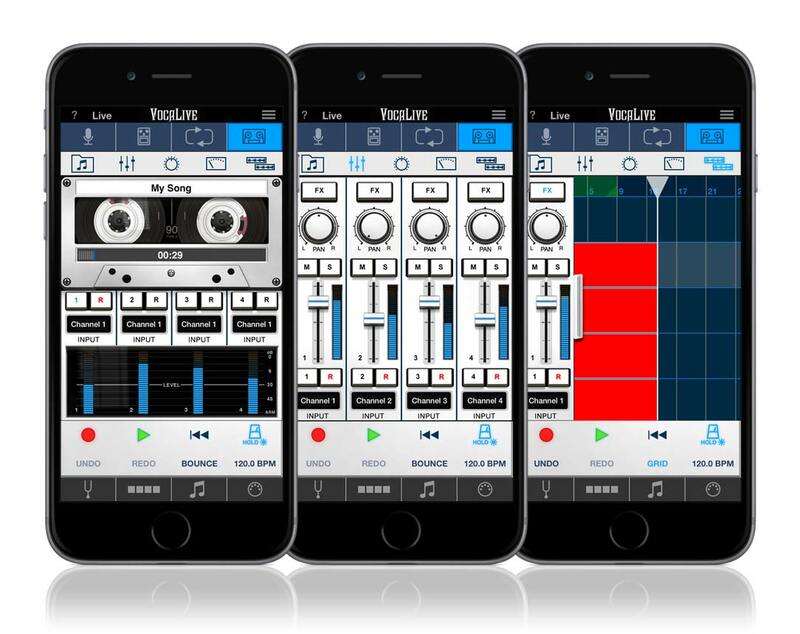 This lets you route audio through up to three apps. 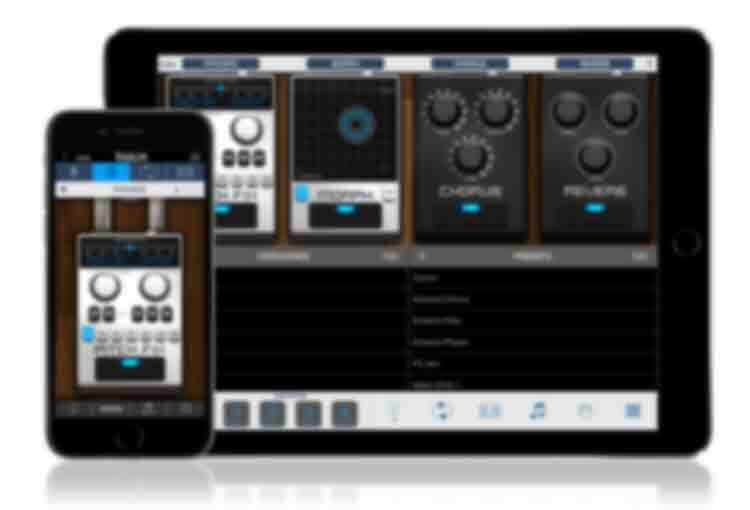 With it, you can use VocaLive as an effects processor for an instrument or for audio coming from another app. You can also use VocaLive to process and/or record the audio coming from other apps in the chain. 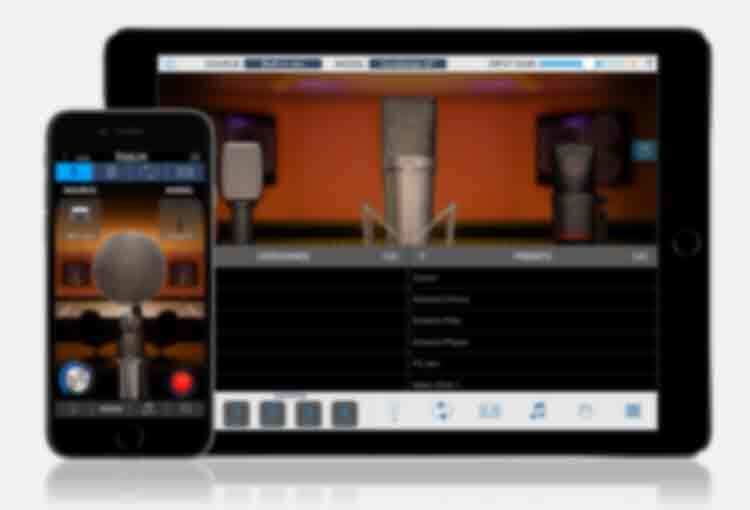 What if you could get “that” sound — the sound of the perfect high-end recording studio microphones on your iPhone or iPad? Well, now you can. The Mic Room feature inside of VocaLive puts powerful yet easy to use microphone modeling technology inside your your iOS device. The Mic Room lets you "re-mike" any IK microphone like iRig Mic Studio or the handheld digital iRig Mic HD to sound and perform like some of the most coveted studio microphones of all time. It lets you choose from 20 microphones that include dynamic, condenser, ribbon and some other highly creative models that are everyday tools in A-list music studios all over the world. 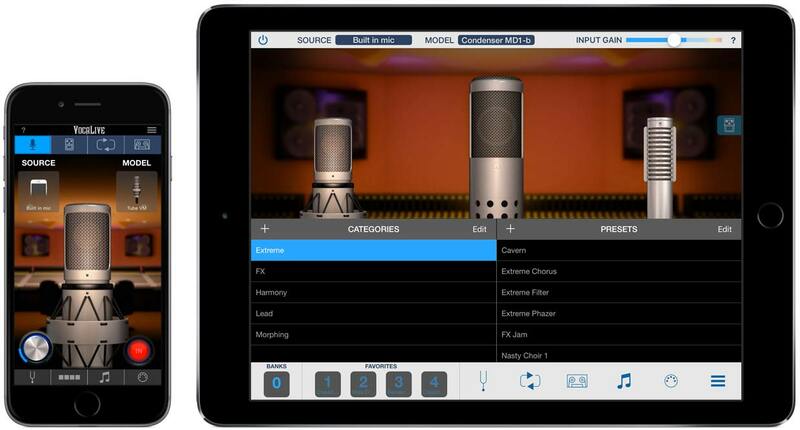 All you need to do is plug in your IK Microphone and then select a virtual microphone model that you'd like to emulate — Mic Room will automatically detect the input microphone you’re using. Mic Room lets you instantly tap into the inspiring sound of many timeless classics. Each microphone model can be tweaked to deliver the best sound possible thanks to an intuitive graphic interface that provides an easy-to-read level meter and a touch-and-drag gain knob. You get tried and true dynamic workhorses, rich and velvety tube condensers, ultra-smooth ribbons and even more unusual creative mic types. The second is the Studio DAW-style waveform-editing suite.. 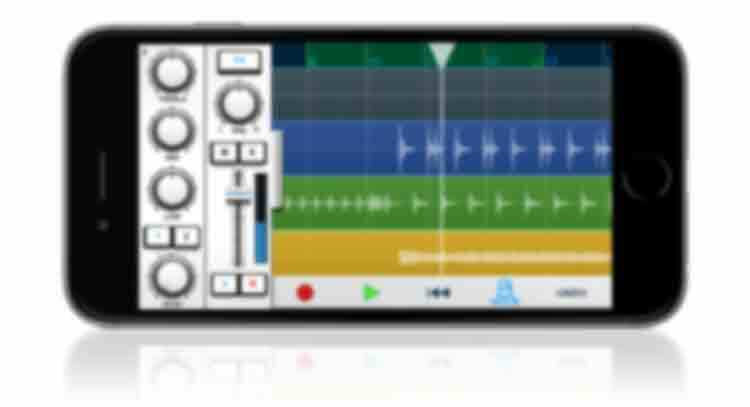 In an instant, VocaLive transforms your iPad or iPhone into a fully mobile professional recording studio that has everything you need to make complete music productions while on the go. First things first — get your idea recorded. Touching the tape recorder button in the control bar transports you to your new recording studio. This is where the magic happens. There’s a preroll feature that lets you set two measures of count-in before you start recording so you can lock onto the tempo and nail your part right from the downbeat. Hit the red “record” button and start your masterpiece. 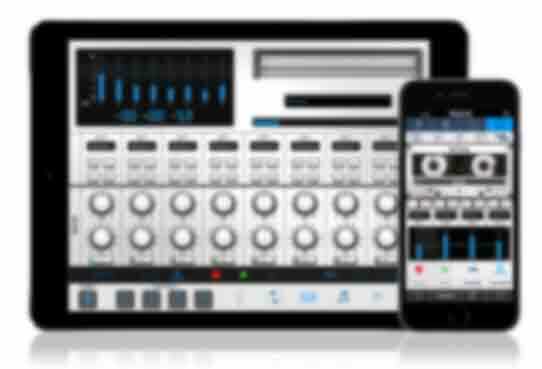 The recorder offers 8 available tracks for simultaneous multi-track recording and a bounce feature for freeing up tracks as you need them. Grab your mic and go! VocaLive also has an AutoFreeze feature allows you to “freeze” or save the effects chain assigned to a track (in other words, write them to the track), freeing up VocaLive’s effects for use on another track, which can then be frozen as well. This feature lets you go back and reapply or reconfigure effects based on how your individual audio tracks “sit” in the mix. So if you want to go back and tweak an effect's settings, no problem, you can “un-freeze” the effects on a track to make your adjustments. The recorder section gives you everything you need for professional audio production. Want to add some polish and sparkle to your mix? The Master Effects section has been designed to give you everything you need to add that extra punch to your finished works. 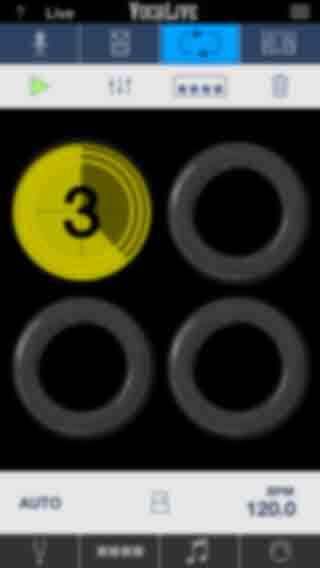 This section is accessed by touching the "Mast FX" button, or swiping the Track controls to the left. There you'll find the Send 1 and Send 2 effects processors. Finally, what would a master effects section be without an equalizer? VocaLive gives you a 3-band parametric EQ that's been specially made to help you bring out the sweetness of your overall mix. Take that, run it through the included compressor for tightness and gain control, and you'll have a finished product that's ready to be shared and sold to your fans. VocaLive also has a powerful and intuitive editing tool, the Studio. 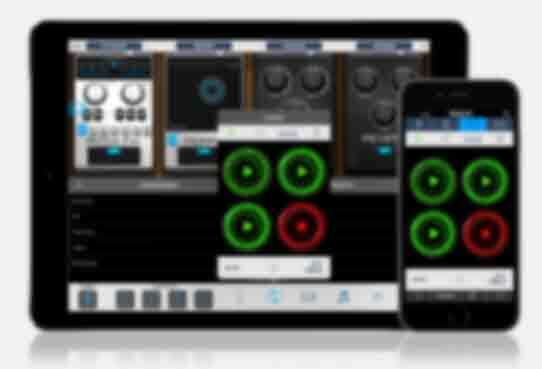 The Studio brings precise waveform editing and audio region manipulation to the mobile world. It's an easy, visual way of arranging while on the go that's remeniscent of some of the most powerful desktop music creation tools. Touching the “STUDIO” button in the bottom control bar accesses the Studio section. It provides access to a range of features that have been designed to help you achieve sonic perfection. Using it is easy, it's split in two display regions on the screen: The Track Control section is on the left and the waveform timeline grid is on the right. With both in front of you, you also have access to the full signal chain plus effects, recording tools, mixing functions and more. You can adjust how much of the track’s signal goes to the master effects section by using the “SEND 1” and “SEND 2” knobs. In addition, we've also included a Track EQ section below the Master button that let lets you fine-tune the EQ on each individual track, just like on a professional mixing console. Navigation in VocaLive’s Studio section is done with both multi-touch and simple gestures. You can zoom in and out of a region by pinching in or out with two fingers on the screen. You can define loop start and end points by dragging a finger from left to right. You’ll notice a green area shows up when you do this. Drag the left triangle to the beginning of your desired loop and the right triangle to the end. Once defined, double tap on the green area to activate it. Then hit play on the transport to begin playback of the loop. You can also create a “punch in” recording area. Drag your finger from right to left in the navigation bar and you'll create a red “Punch in” section. Adjust the start and end points with the triangle handles, and then activate it with a double-tap. You can de-activate loop and punch in regions by double-tapping again. Other individual track features include the ability to solo, mute, record enable and activate the VocaLive signal chain on a track. You can record audio material directly to a track in the Studio view by using the “PLAY”, “RECORD”, “REWIND” and metronome transport controls at the bottom of the screen. There’s also a “GRID” button that turns “grid-snapping” on and off, plus “UNDO” and “REDO” commands for the human in us all. VocaLive also features some handy export features once you’re done with your creations. You can export complete works of art with ease in multiple file formats and share them via email, file sharing or SoundCloud. No matter where inspiration strikes, you’ll capture it in all its glory with the intuitive and easy to use VocaLive Recorder features. No thanks necessary… really! The Looper is one of the many useful tools available as an add-on for VocaLive — it gives you a quick and easy way to create up to 4 synced audio loops. Once you’ve created your looping masterpiece, you can easily export your work, and import it into the recorder or simply share your loops with the world. It's the perfect sketchpad for new ideas — it's intuitive interface is designed for easy experimentation and will inspire you to think in an entirely new (and loopy) musical way. Develop new vocal lead lines, harmonies, strange effected vocal layers, add rhythm elements with your voice, or simply record random interesting noise patterns, all at the touch of a button. Using Looper is super easy and intuitive. Just set your preferred tempo and enable the metronome feature. Then tap the "rec" icon on the first loop button. From there it's 4, 3, 2, 1, go! 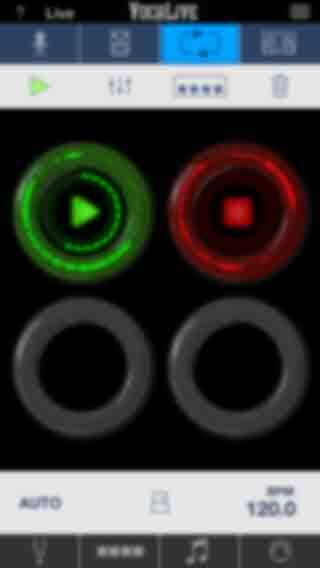 Loop 1 will begin recording automatically, and it wont stop recording until you tap on the loop again. No matter when you tap to end your loop, your loops will always sound good because each loop is quantized to the nearest quarter note. 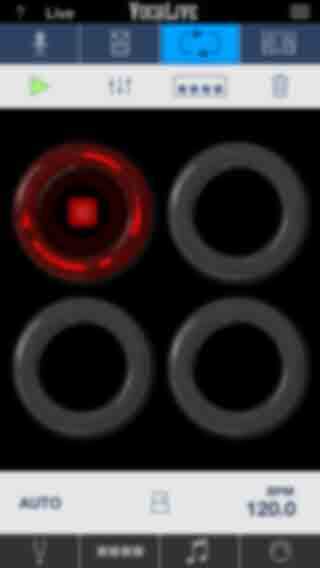 Once closed, Loop 1 will continue to play, setting the stage for you layer more in loops 2 through 4. 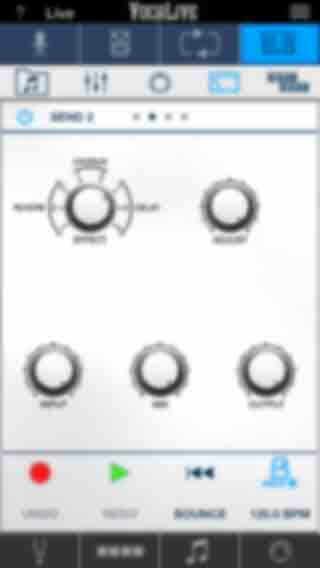 Just tap the "rec" icon on the second loop to start recording the next layer when the playhead comes around, and so on. The length of your first loop determines the length of all the loops the follow, and loop length is limited only by the storage available on your device. Once you've captured your audio, you can mute and un-mute individual loops by simply tapping on the loop you want to silence with your finger or stepping on a MIDI controller button. It's really that easy! Want to get tricky while performing live with your loops? That's also a piece of cake! 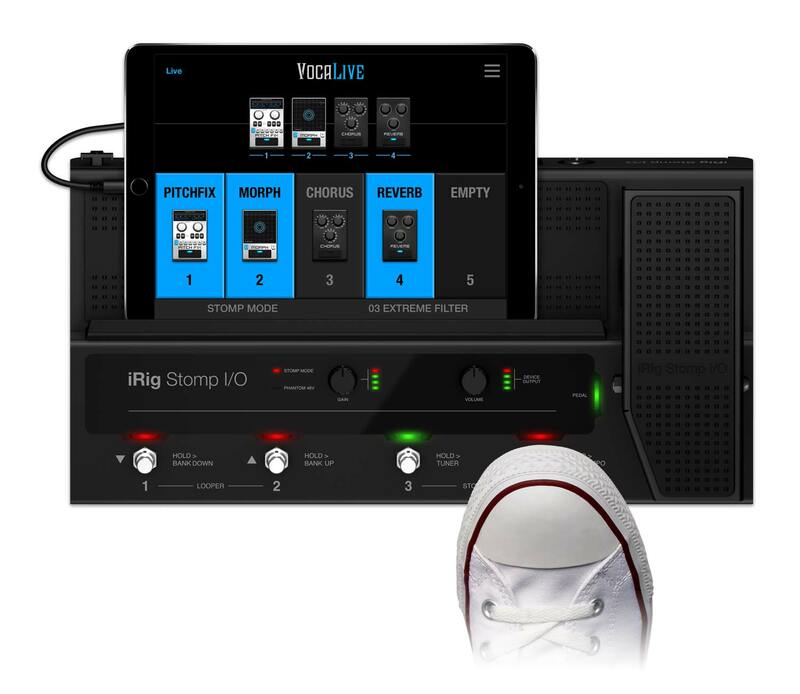 The Looper feature integrates iRig Stomp I/O and iRig BlueBoard support and can also be controlled with any connected standard MIDI controller. Now you can trigger loops from the floor, leaving your hands for more creative things, like waving at your adoring fans.